The Hustle (film, 2019). An American comedy film with "PG-13" rating by United Artists Releasing (US)/Universal Pictures (International). Directed by Chris Addison. Official Trailer. The Hustle is an American comedy film directed by Chris Addison. 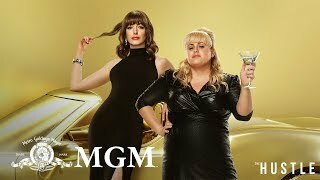 THE HUSTLE | Official Trailer | MGM. Principal photography began during mid-September 2017 at both Pinewood Studios and Shepperton Studios in the UK, with filming also taking place at the Farnborough Airport. The film The Hustle was scheduled to be released by United Artists Releasing (US) and Universal Pictures (International) on May 9, 2019 (Germany) and on May 10, 2019 (United States).